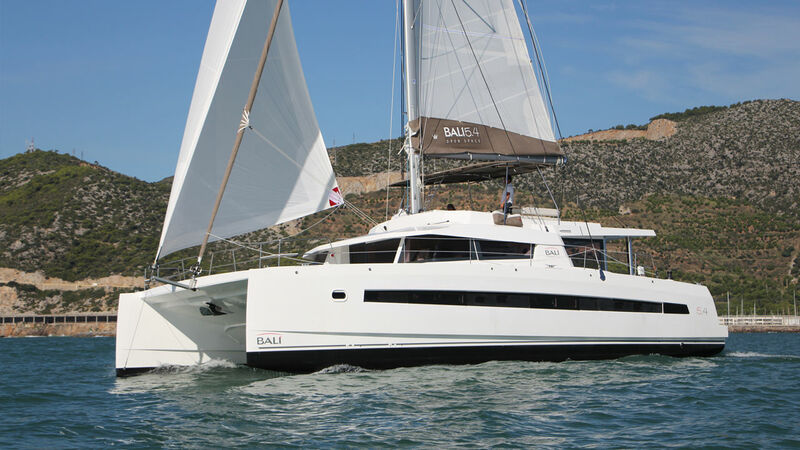 If you are looking for a beautiful cruiser, this is the family of boats where you’ll surely find what you’re looking for: multihulls between 50 and 70 feet indeed offer volume, luxury and a remarkable level of comfort for life on board. But they’re boats that remain manageable for a family crew: the ultimate object of desire! With their new flagship, the La Rochelle-based shipyard is undeniably going all-out to impress, following its presentation at the Cannes show. The Berret-Racoupeau design team has clearly had a hand everywhere. The elegant and modern exterior lines and the style and quality of the interior fittings, all set a new standard. The flybridge is huge, there are luxurious VIP cabins, and equipment and layout adaptable to any program, with or without crew. But the must-have remains the owner’s suite with direct access to the forward cockpit equipped with a... jacuzzi! As the performance is up there with the best of the rest, no less than twenty units have already found buyers in just a few weeks! 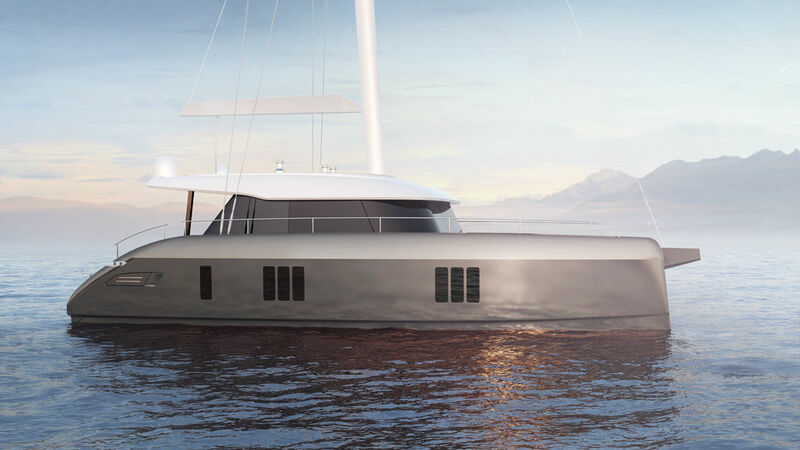 At Sunreef, the specialist in luxury and tailor-made on two hulls, 50 feet would almost look like a "little" boat. Yet their brand new 50 offers all the comfort and then some. Particularly noteworthy are the forward cockpit accessible from the saloon via a watertight door, the aft cockpit transforming into a vast terrace thanks to the ingenious integration of the hydraulic platform, the large flybridge, and finally the large topside windows flooding the interior with light and offering a breath-taking view from the cabins. As always, the interior decor can be adapted to each owner. On the biggest Bali on show at Cannes, we found all the features which have characterized the brand since its debut, but in XXL version! The saloon-cockpit area becomes all one in an instant thanks to the huge pivoting door. The deck extends to the bows, offering an outsized sunbathing area, accessible directly from the saloon via a watertight door. But the extra length allows above all for 6 cabins in the hulls. 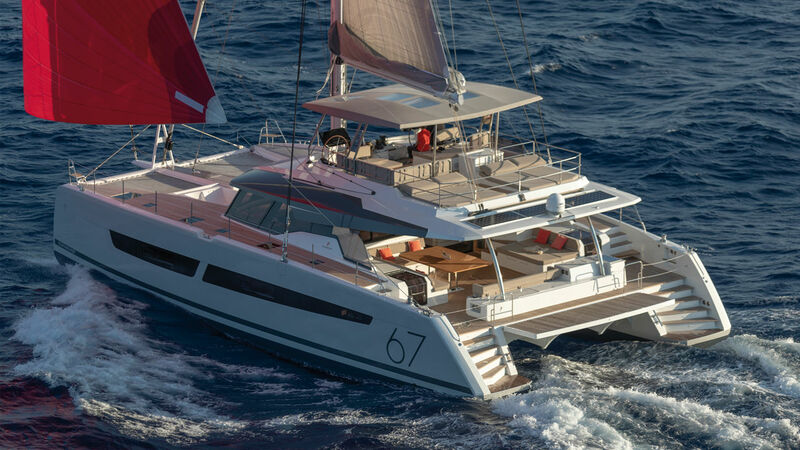 A must for charter use, but it is more versatile than just that! We believe that the kind of space and equipment that you would find "at home" will also appeal to many private owners.